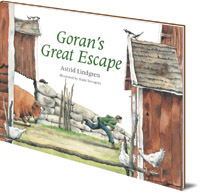 Full of exquisitely detailed illustrations of wooden houses and farming families, this book gives a vivid sense of springtime on a Swedish farm of long ago. It's a sunny Easter Sunday in Sweden and the farmer's family are having breakfast, when suddenly their bull, Goran, breaks loose. Can anyone get him back under control? 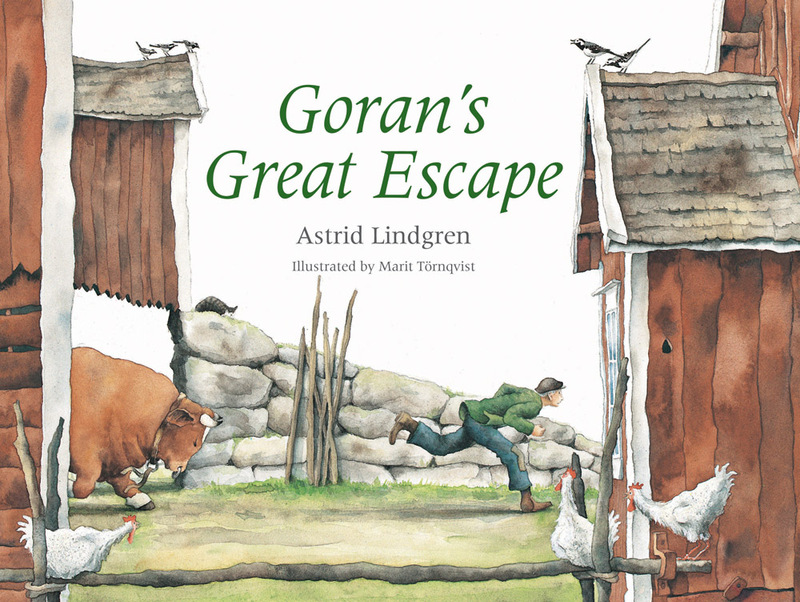 A delightful children's story from Astrid Lindgren. It's a beautiful, sunny Easter Sunday in Sweden. The farmer and his family are having breakfast before going to church and the farmworkers are going about their daily chores. But Goran the bull is angry. He breaks loose from his stall, and charges down the barn and out into the yard. People gather from miles around to see the raging bull. But who will dare to cross Goran's path? Will he stay angry forever? Karl, a seven-year-old farm boy, has a plan. But can a very small boy tame a very big bull? -- Creative Steps, Spring 2011. 'Illustrations, in translucent water based paints in earthly hues, are masterly.